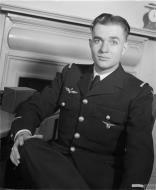 Sous-Officier Pierre Clostermann, when serving as a pilot a with No. 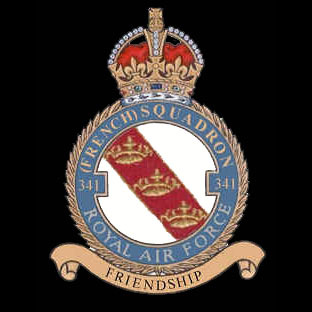 341 (Alsace) Squadron of the Free French Air Force. An armourer of No. 3101 Servicing Echelon uses a periscope unit to adjust one of the .303 Browning machine guns on a Supermarine Spitfire Mark IXB of No. 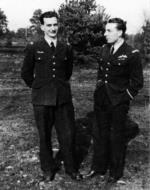 341 (Free French) Squadron RAF, jacked up before a gun harmonization board at Biggin Hill, Kent.